Out of the many hurdles of starting a plant-based diet, coming up with easy, tasty recipes and a nutritionally sound meal plan for every day is one of the main ones. 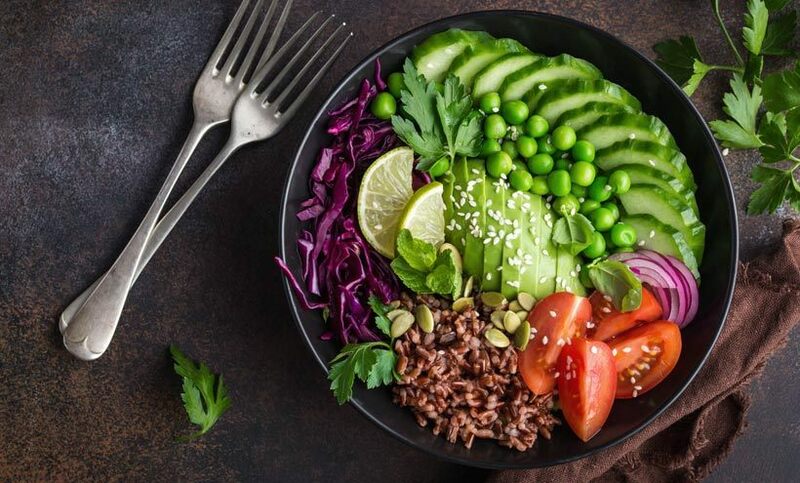 Few people know which foods to choose for a well-rounded meal and are almost intimidated to get into plant based meal planning. It seems the world is obsessed with protein. People drink protein shakes before their workout. Body builders chow down on chicken, tuna, and eggs in order to get desired results. Plant-based eaters are constantly asked where they get their protein, and nearly every processed health snack references protein value as a reason to buy. Having a well-stocked kitchen means that a nourishing meal is never more than a cupboard or freezer away. Sadly (and realistically), we cannot always get all the amazing plant-based goodies that are at the grocery stores! Either space is short, or money is. But do not worry, we came up with a list of 25 vegan staple foods that you can get which offer you a large variety of meal options.